Functional art has once again been designed and created by Nancy. 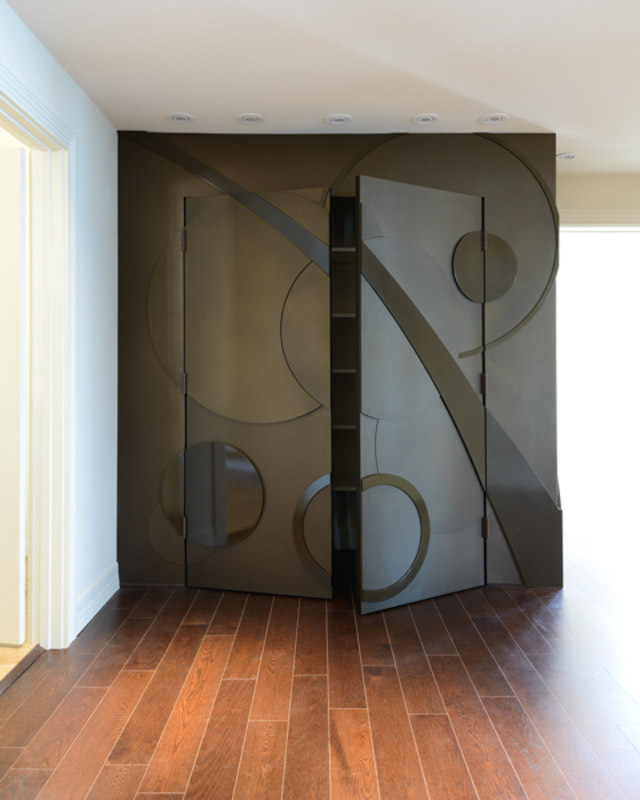 This 3 dimensional powder coated art actually conceals a large linen/storage closet at the end of a hallway. 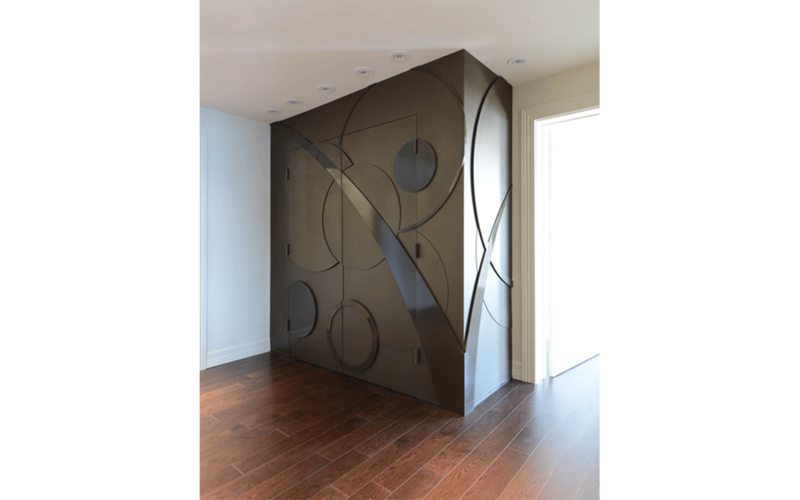 The intent is to allow the viewer to see a beautiful work of art rather than simply having this focal point be two closet doors. 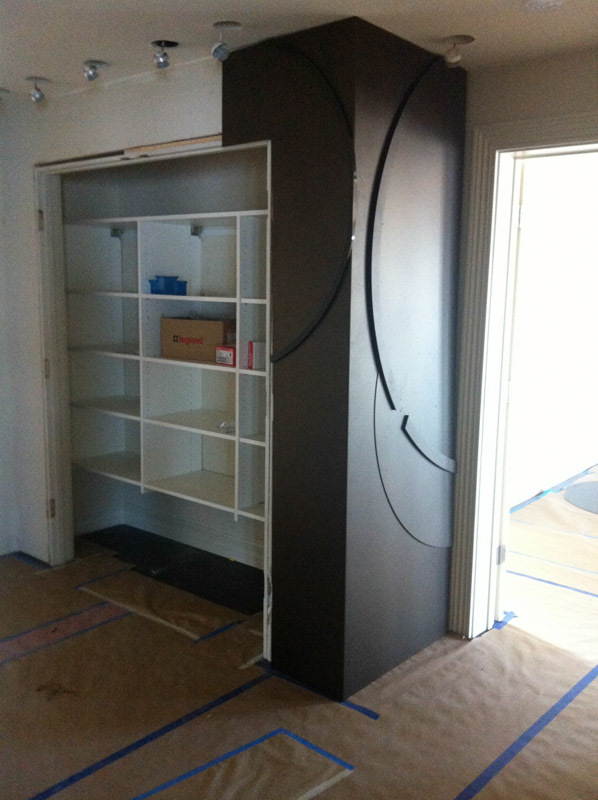 The powder coating shows both a matte and a glossy finish for the various design elements within this art. 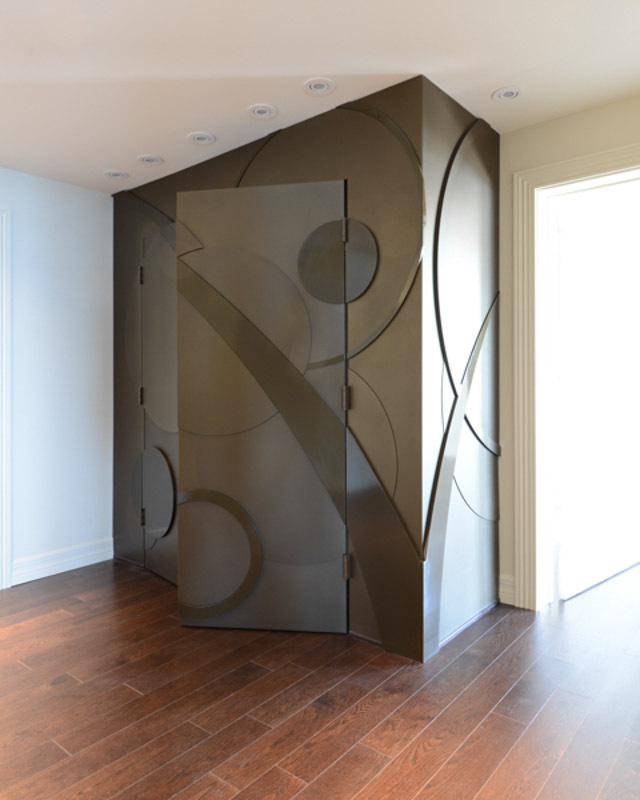 The art is applied to the walls and the doors. This shows the functionality. 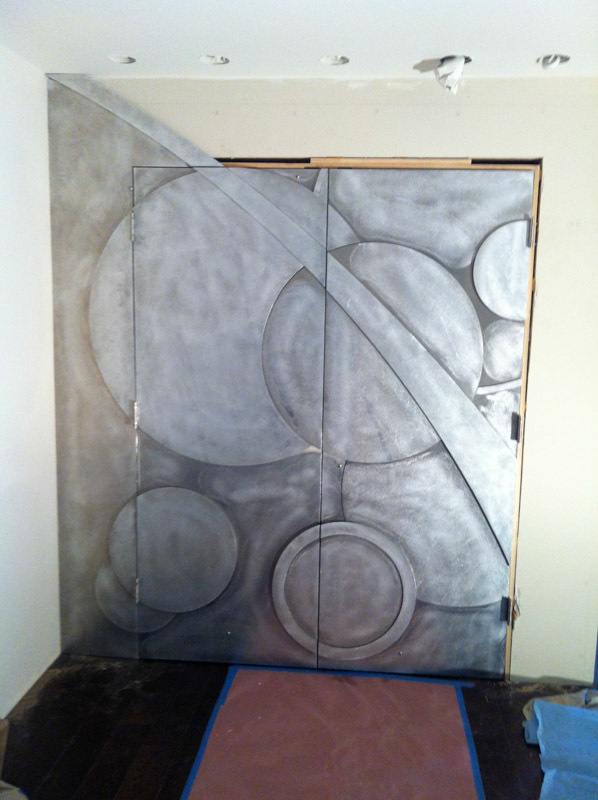 The art is seen straight on with both doors functioning.